Book an economic private taxi or bus from Malaga airport to Estepona with our transfer services filling in the form on the top. Malaga Airport to Estepona: 81 km. Our Malaga airport transfer services offer an excellent option for traveling to Estepona during your holiday. We have standard and luxury vehicles to transfer you from the airport to your hotel in this town on the Costa del Sol. We also have a fleet of minibuses to transport a total of 12 or 19 people, and we even have buses up to 54 passengers. The promenade is very long and advisable for a stroll while the sea breeze is caressing your face. Doing this activity you will find different stores, restaurants and gift shops that may want to visit during the holidays. The promenade will lead you to the Marina of Estepona, an area with plenty of bars, restaurants and animated nightlife. Within a radius of a few kilometres there is a wide range of hotels and resorts. The port looks fantastic with its facilities painted in white and blue, faithfully reflecting the marine spirit. The port has its own yacht club, and by and large we think you should not miss it during your visit. Economy Transfer offers a means of transport completely personalized for your holidays in the Costa del Sol thanks to Malaga taxis. A few streets away from the port area you find the bullring where are held bullfights and sometimes concerts. The Palace of Congresses and Exhibitions of Estepona has ideal facilities for theatre performances, fashion shows, concerts and shows and receives multitude of events, exhibitions and conferences throughout the year. It is possible that during your holiday there might take place an event that you like. 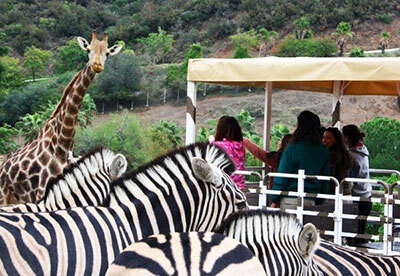 Just outside the town of Estepona is located Selwo Aventura Nature Park. We see it as a must if you come with family, friends or you’re passionate about the animal kingdom. Not to mention the beaches of Estepona which are the real attraction of the city during the summer. 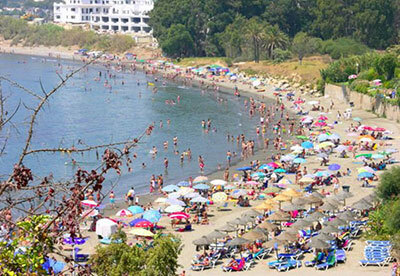 The great expansion of the beaches and their good condition grant Estepona the privilege of being one of the best places to sunbathe and swim in the south of Spain. The beaches of Playa del Cristo, playa de la Rada, playa Punta del Saladillo, Punta de la Plata or Playa Casasola are among the most recommended during summer holiday. The Municipal Museum of Estepona is an alternative to the traditional sun and beach tourism. Inside this museum you can visit five different areas: Archaeology, Paleontology, Ethnography, bullfighting and image and sound. For golf lovers, we would like to inform you that the best golf courses in the municipality, except for Estepona Golf, are located on the outskirts, between this resort and Marbella; there, you will find luxury homes and villas. The recommended Golf courses are El Paraíso Club de Golf, Flamingos Golf Club, Guadalmina Golf, Los Arqueros, La Quinta, El Coto de la Serena, etc. 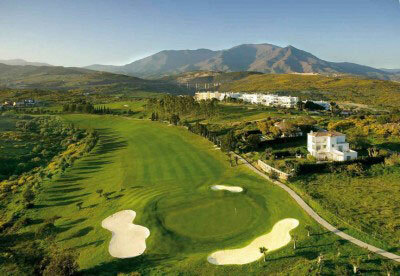 If you need a private taxi to some of the golf courses in Estepona, please click the next link: Golf transfers Malaga. You can also enjoy other activities such as sailing, kite surfing, paintball, boating, diving, and learn to ride a horse at the School of Equestrian Art. 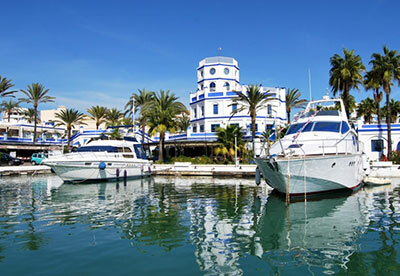 The resort town of Estepona is located on the western coast of the province of Malaga, near the province of Cadiz and situated in the vicinity of other important destinations such as Marbella, San Pedro de Alcantara or Manilva and Sabinillas destination. EconomyTransfer facilitates travel to Estepona from Malaga and the airport through excursions and day trips in Malaga. This service is particularly useful and is attractive for large groups of people. Click here to contact us and ask for all the information you require.